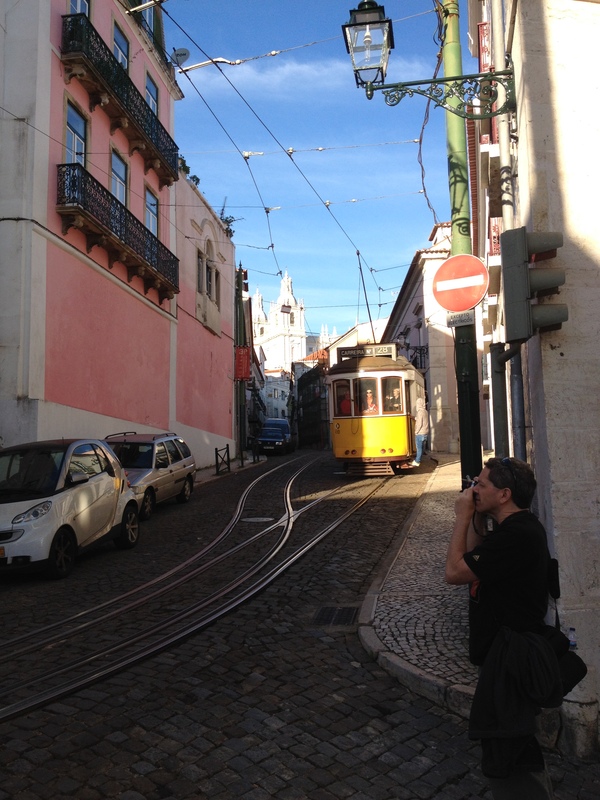 The brilliant German director Wim Wenders caught a whiff of the same thing, I think, because there is no other way to explain how he came up with his 1994 film Lisbon Story. 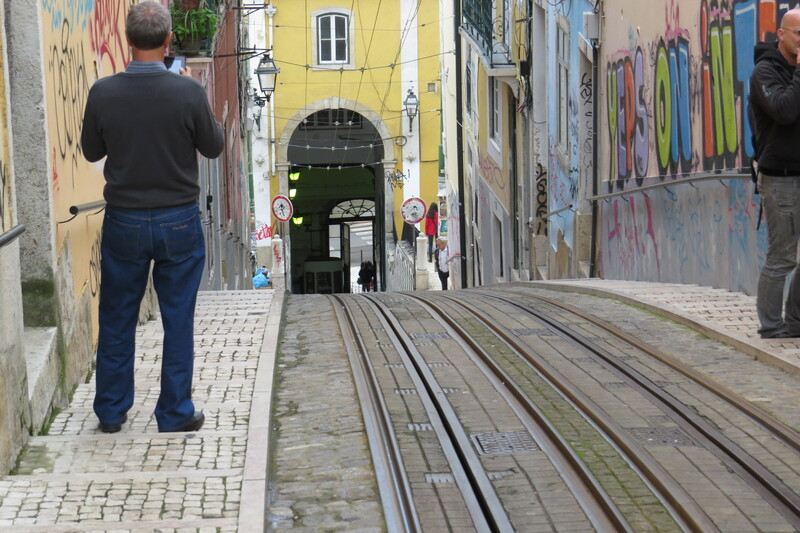 He somehow managed to encapsulate the spirit of the city in this little unassuming movie showcasing fado music and culture, and a few pointed references to Pessoa. 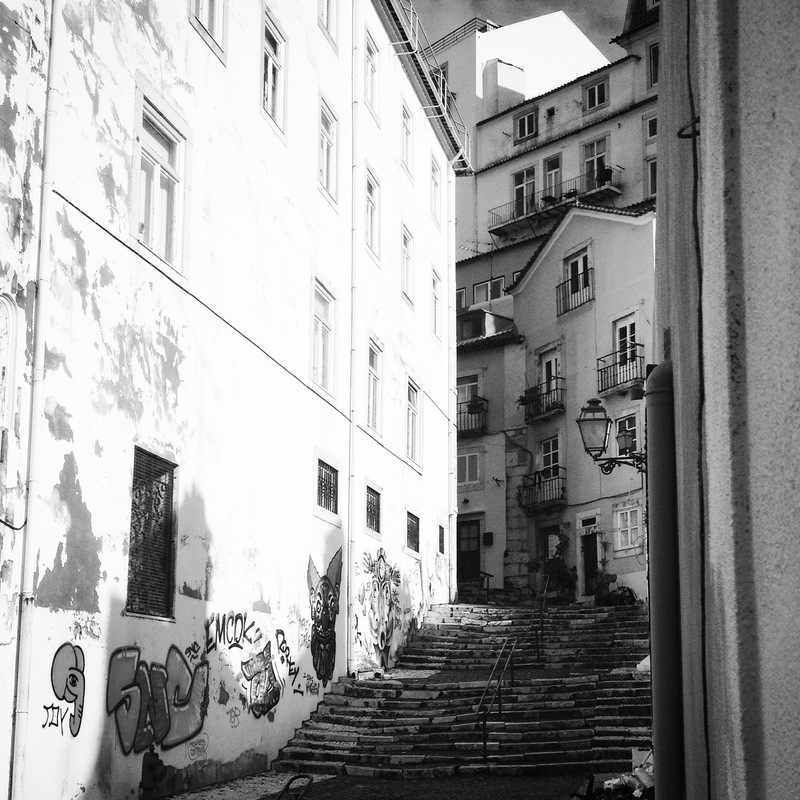 This 3-minute clip packs a cultural punch: the main protagonist is first seen in an old, shabby apartment with typical blue azulejo tiles and hears faint sounds of guitar music, both signals for a probable location in the Alfama district, the heart of Lisbon and the birthplace of fado music. He follows the sound of music to a room where a band (Madredeus – probably the best-known Portuguese band in the realm of “world music”) appears to be having a rehearsal, with the lovely singer, dressed in strict black fado garb, standing in a semi-circle composed of a guitar, accordion, keyboard, and cello, and trilling a song about a guitar. I was 19 when I first saw the movie, high on my Portuguese lore, three Madredeus and two fado CD’s, and I thought this scene said everything that needed to be said about Portugal. I haven’t changed my mind. 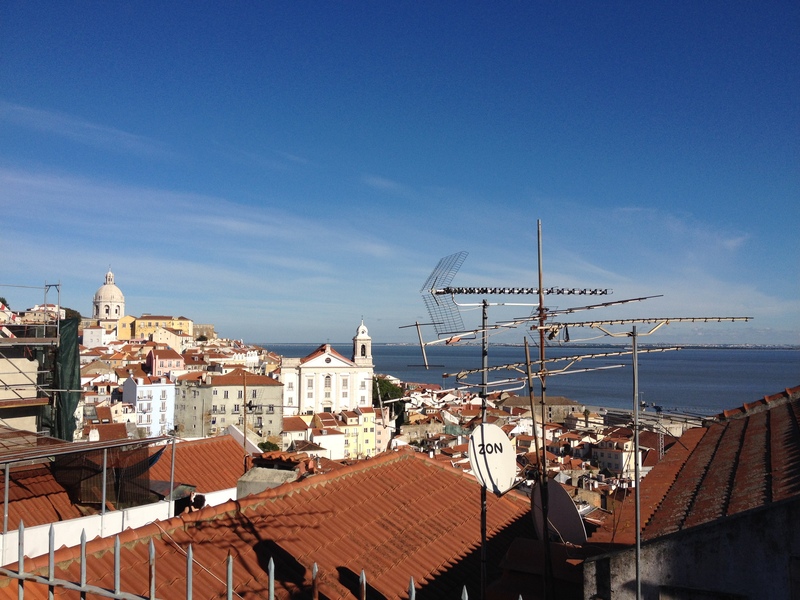 Alfama is the oldest part of Lisbon, perched almost in its entirety on a steep hill crowned by the Castle of São Jorge, and also the only part of the city that escaped the terrible 1755 earthquake practically intact. 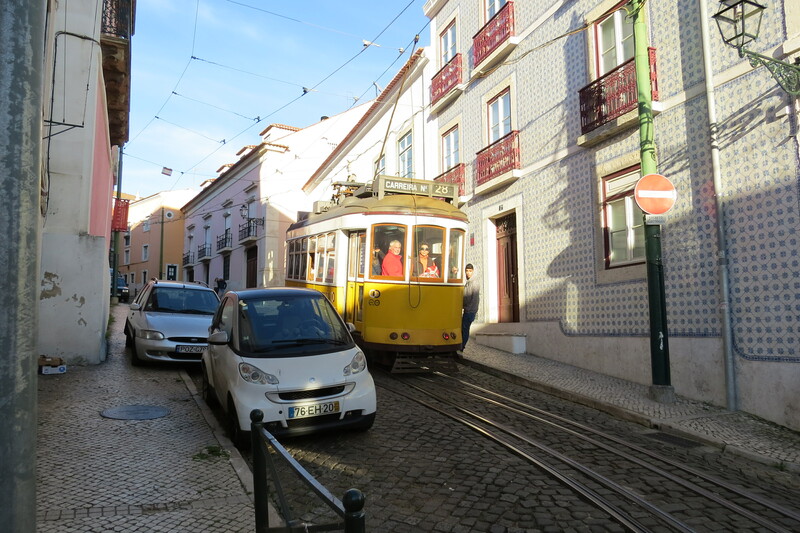 Experts chalk it up to the district’s compact layout of narrow streets and small squares. Its Arabic name reflects its Moorish legacy, as the city was under Moorish dominion from the 7th to the 11th century when it was reconquered by crusader knights. 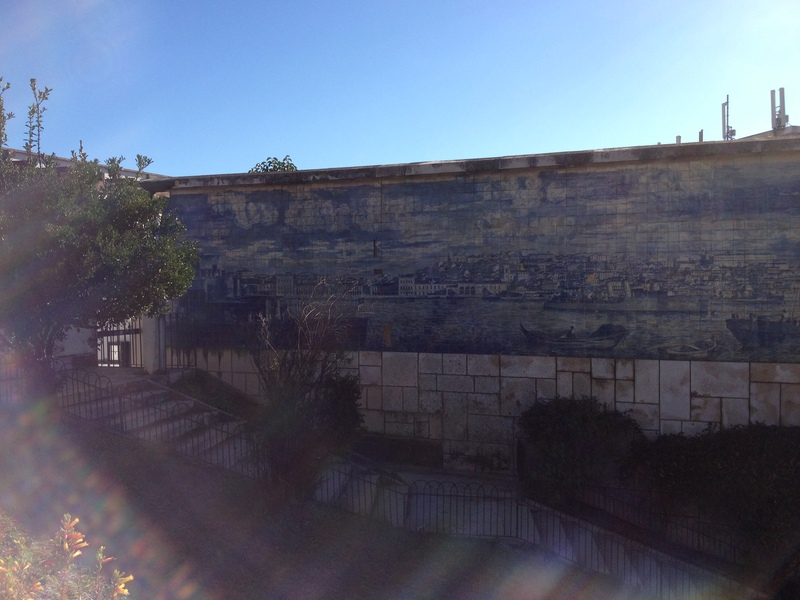 To this day, it retains its reputation as the neighborhood of the poor, and is one of the most soulful, atmospheric places I’ve ever seen. 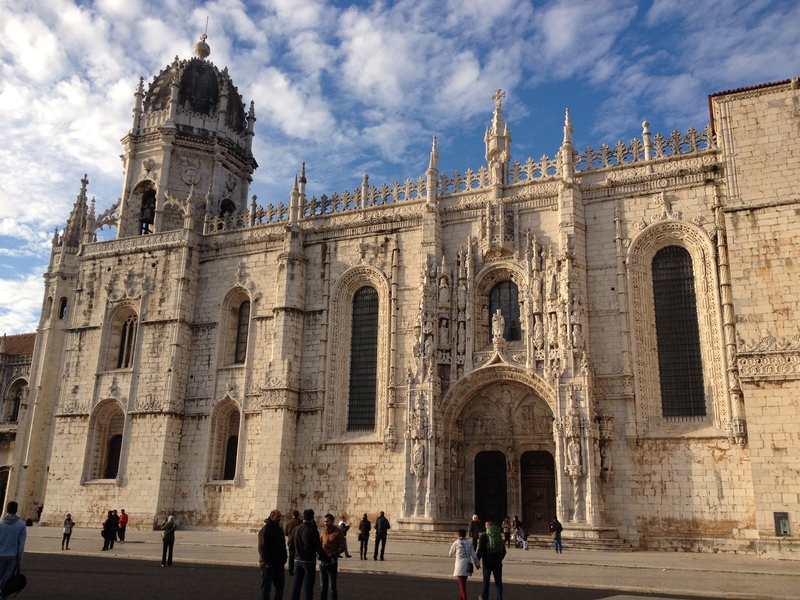 Lisbon is the oldest city in Western Europe, and one of the oldest in the world. One of its several origin stories claims it was founded by Odysseus after he left Troy (hence the city’s name). Archaelogical excavations suggest a Phoenician connection. It was also a significant Roman outpost before it was swept by the Moors. 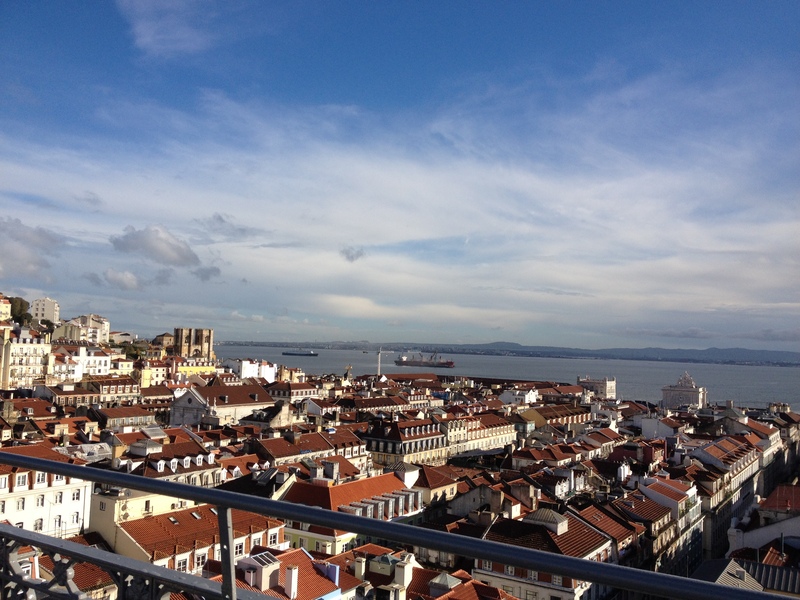 Modern Lisboeatas, however, view the city’s past very simply as pre-earthquake and post-earthquake. 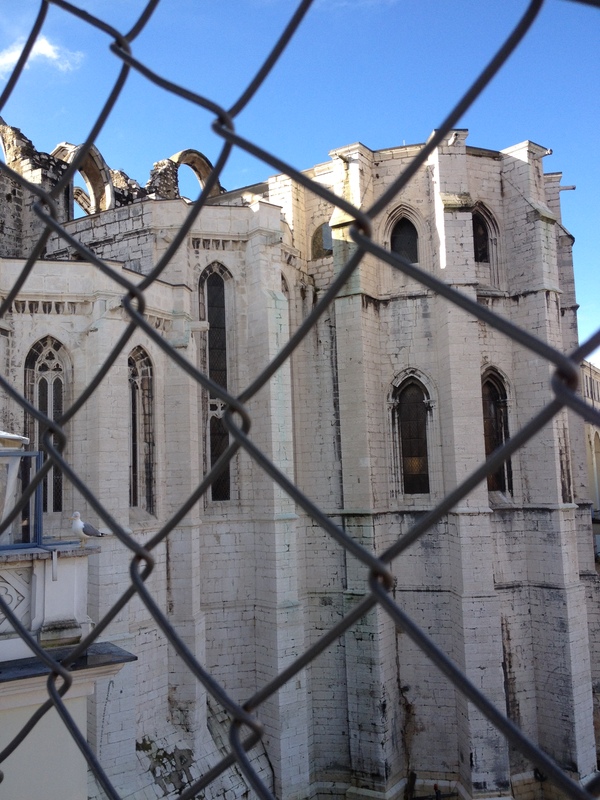 The All Saints’ Day earthquake in 1755, followed by a tsunami and fires, was so devastating that it literally razed the city to the ground, and burnt itself into the collective psyche. 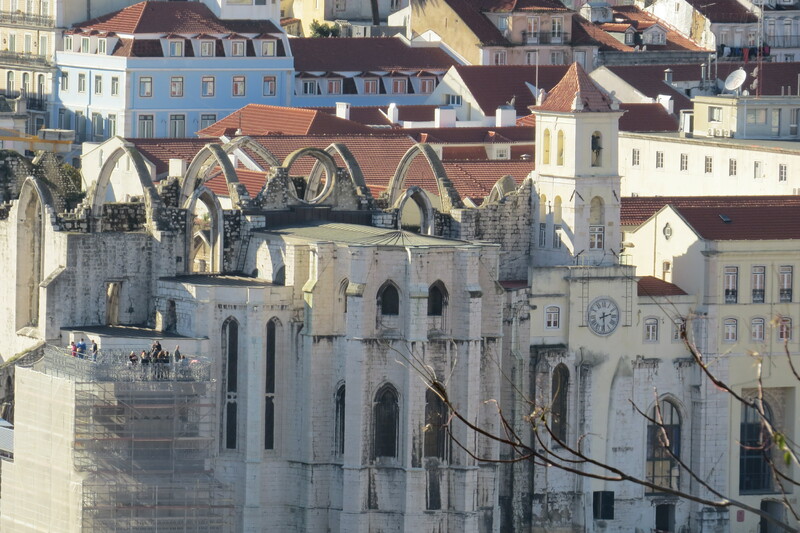 The ruins of Convento do Carmo on top of the Bairro Alto hill were left to bear witness to the event. 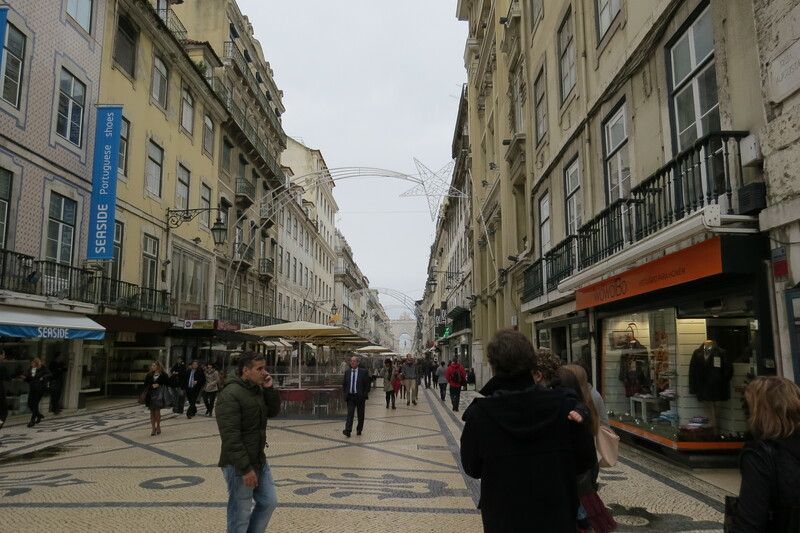 All that you now see as you stroll through Baixa and Chiado, in what is considered the center of the city, even down to the rectangular layout of the streets and squares, was rebuilt after the earthquake and given a more updated, “European” feel. I don’t see that this part of the city lost any of its charm, though: alongside high street shopping outlets, small old world shops survive, selling such anachronistic things as stamps and coins, flanked by century-old patisseries and wine shops. A wave of nostalgia washed over me when I saw this and remembered that old-Europe atmosphere of my childhood which you could still see in cities like Trieste, Zagreb, and Vienna in the 80’s, and which has long since vanished. 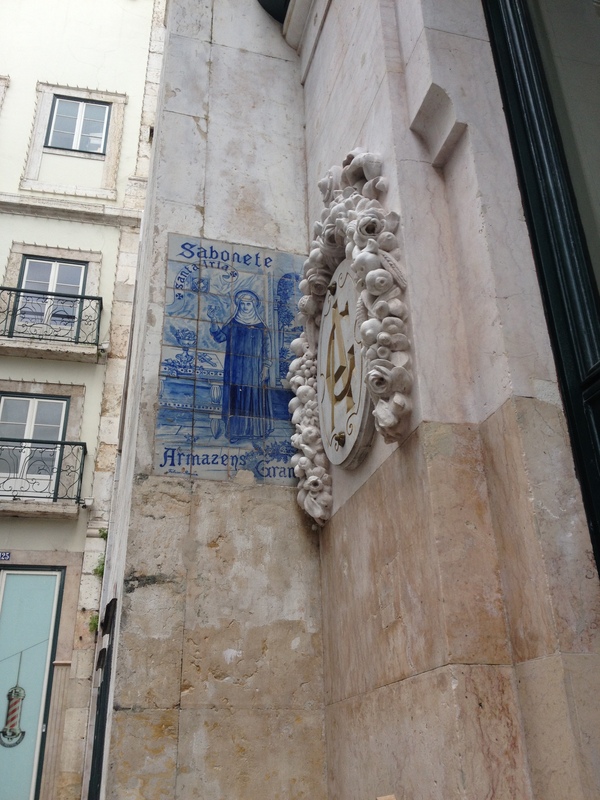 I really didn’t expect to find out that it’d somehow survived in this far-flung, westernmost pocket of Europe. 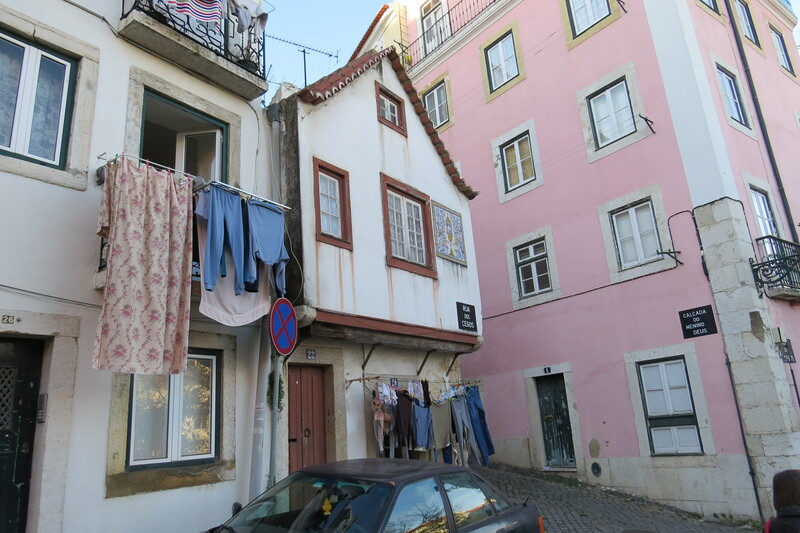 This part of the city, nestled between the two hills of Alfama and Bairro Alto, is also the only flat one you’ll see for miles around. 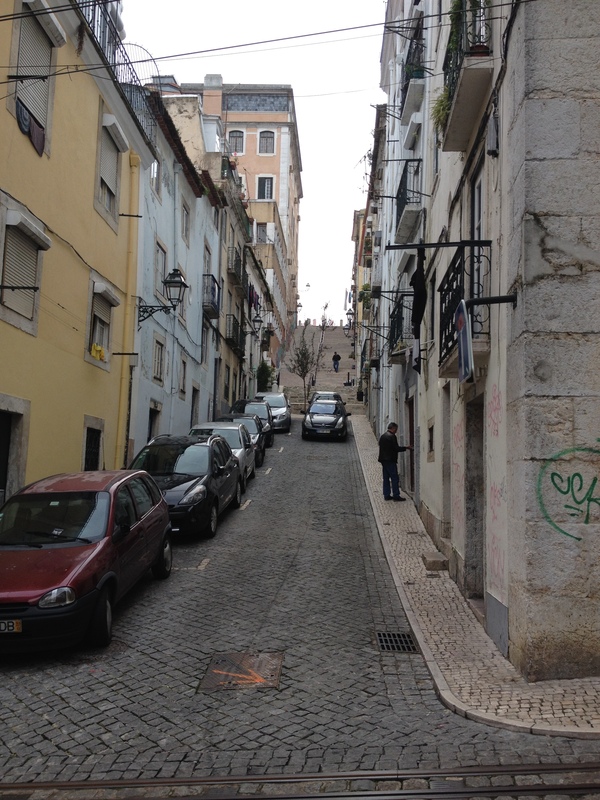 When you visit Lisbon, prepare for the fact that you’ll spend most of your time climbing either up or down incredibly steep streets and stairs. Everything that you see is at an angle. 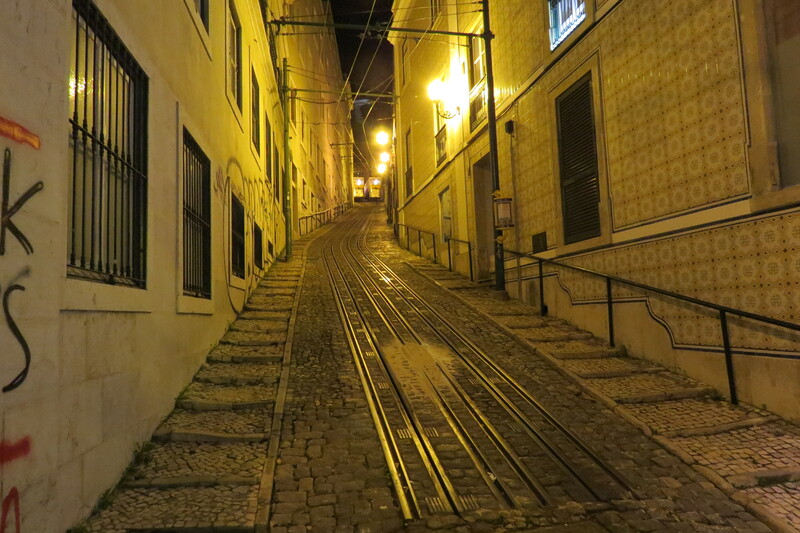 Like Rome, Lisbon spreads over seven hills. 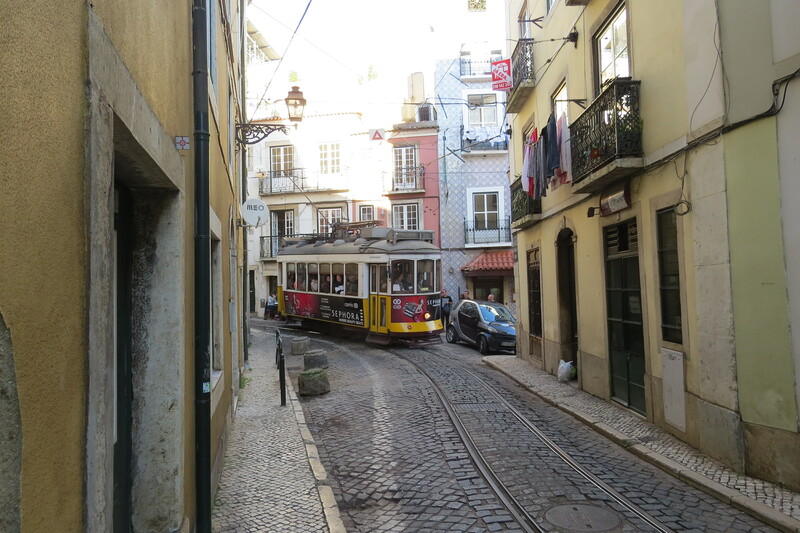 Apart from cars (bikes are not really an option), the only other vehicles seemingly able to negotiate the narrow cobblestone streets and varying degrees of ascent/descent are the übercute trams and elevadores (funiculars), which create so much noise as they trundle along that you can hear them well before you can see them. 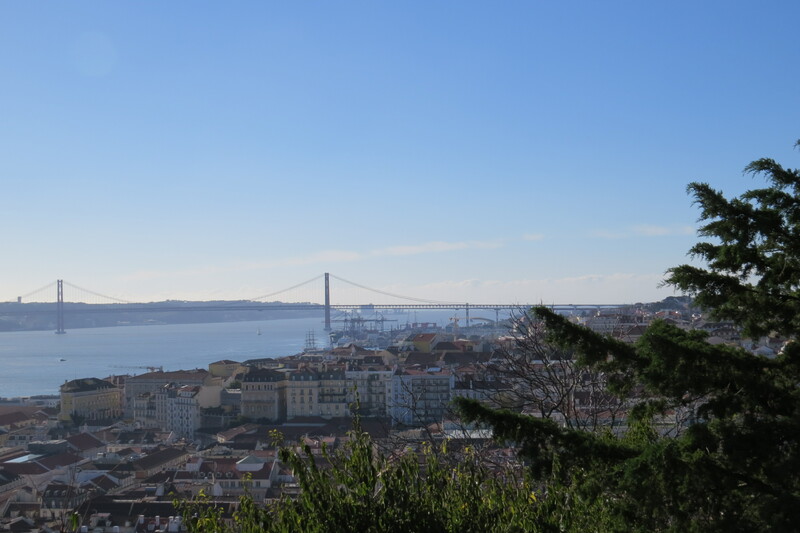 But the river Tagus is also there to remind you that the sea is never far away, and that you are, after all, at the edge of western Europe, at what was once the starting point of many voyages of peril, discovery, and glory. 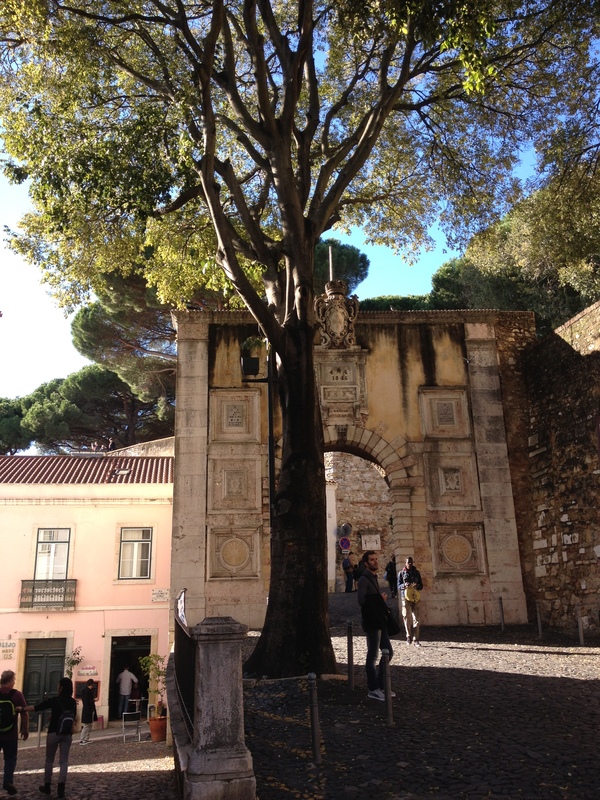 The Portuguese are extremely proud of their maritime and colonial history, choosing to gloss over the fact that they practically invented black African slavery in the 16th century. The nostalgic imprint of the ex-empire is etched into the national psyche, however, as in all countries which had once thrived on colonies and sea trade. 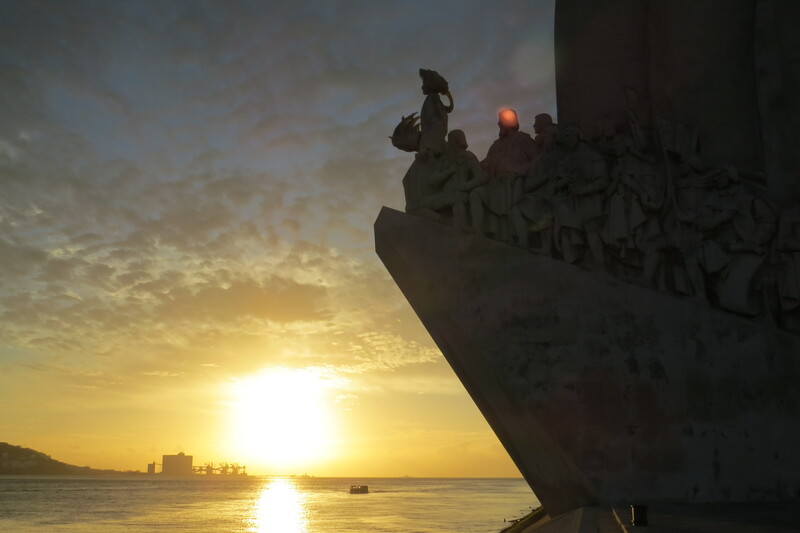 The mouth of the Tagus, where it joins the Atlantic, beckons to you as you stand on the shore at Belém, in the shadow of the Padrão dos Descobrimentos – the imposing monument to the Age of Discoveries, and you can almost understand what the phrase ‘call of the sea’ means. 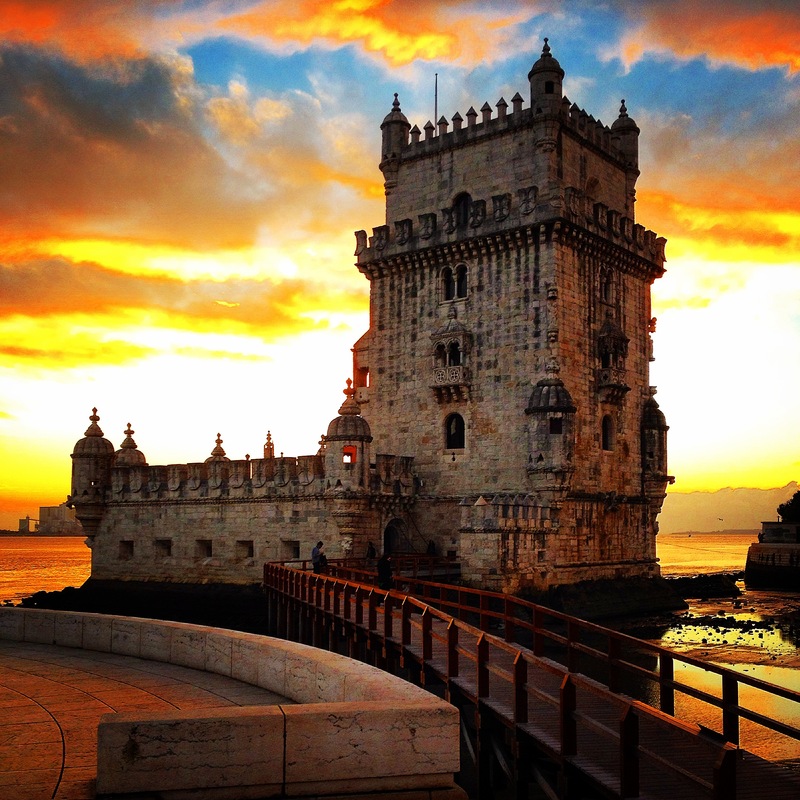 Torre de Belém, or the Tower of St Vincent, stands ceremonial guard for passing ships as the gateway to Lisbon, all curlicues and turrets as befits a prime example of the Manueline style, itself drunk on Moorish influence. 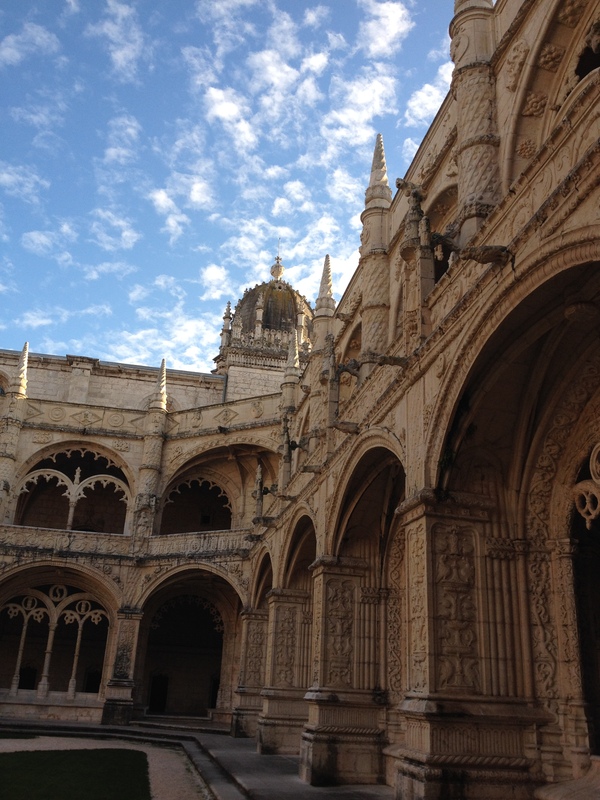 If you think the style is cute and romantic, its neighbor, Jerónimos Monastery, might cure you of that notion with its over-the-top Gothic floral intricacies. 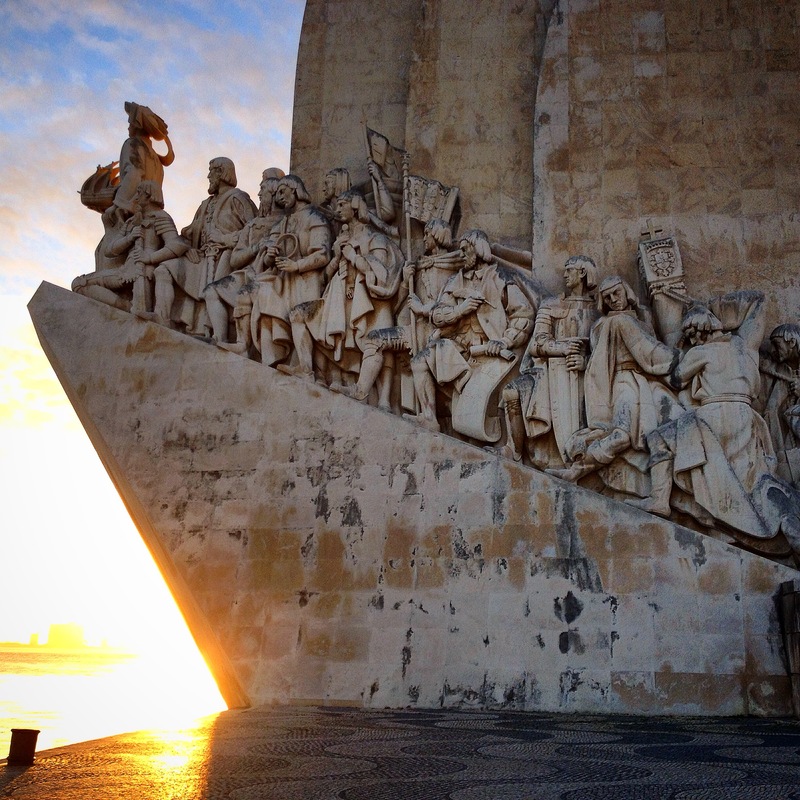 It functions primarily as the resting place of great Portuguese men, from explorer Vasco da Gama to the national poet LuÍs de Camões, and of course Fernando Pessoa. 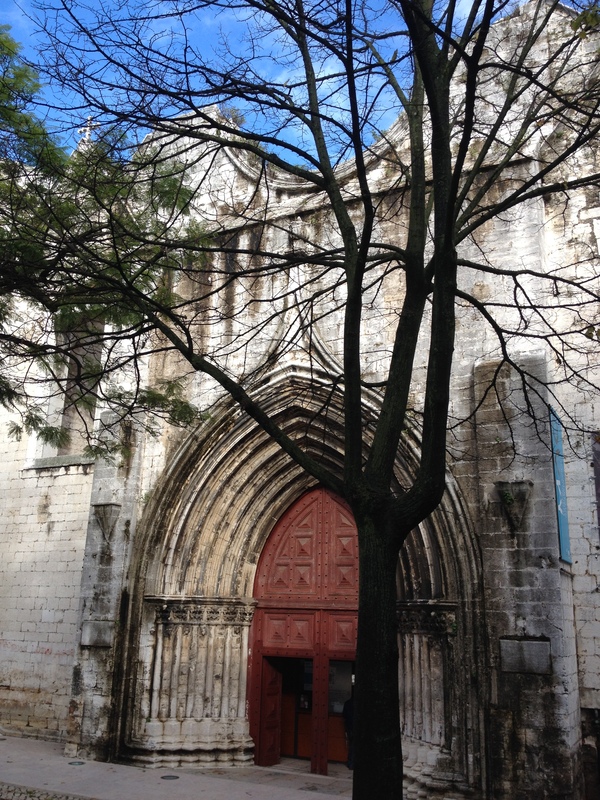 The crowd-phobic in me was happy to see that Lisbon remains a curiously under-visited city. 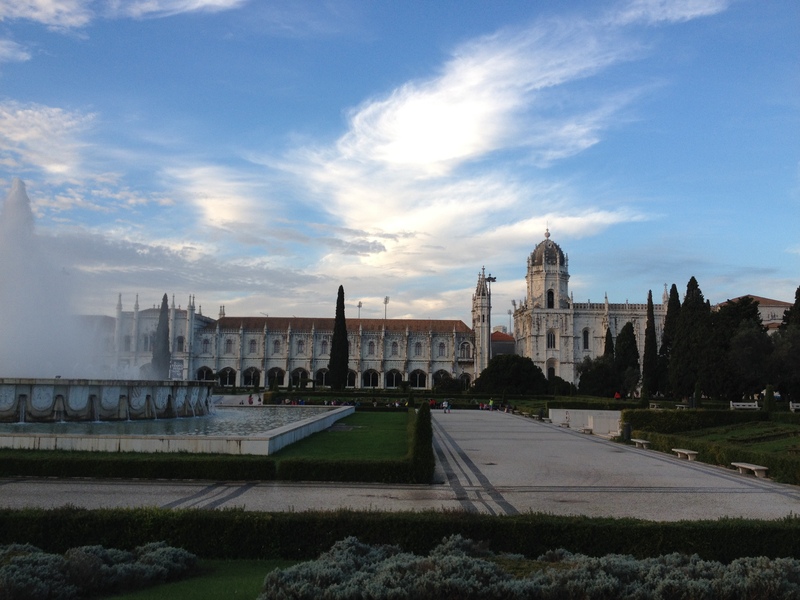 (It keeps popping up in various ‘best underrated/cheap places to visit” lists compiled by Lonely Planet and such.) It’s fantastically cheap, both in terms of victuals as well as accommodation — and the food and drink are to die for — and it’s chock full of history, art, and culture. 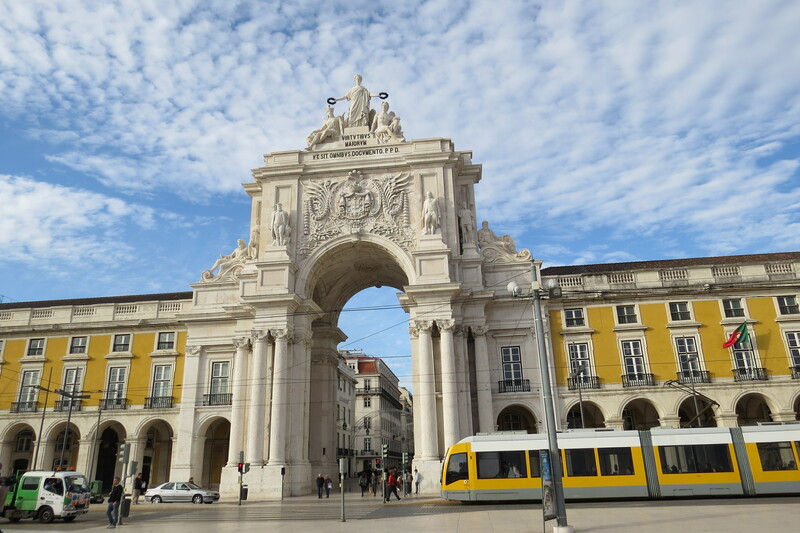 And if that’s not enough, several more Unesco World Heritage sites, picturesque fishing villages, religious pilgrimages, quaint old university towns, and the city of Porto are all a few hours away by car, bus or train. So what are you waiting for? All images in this post are mine. You are welcome to use them if you kindly link back to this site. Great read and great pictures! 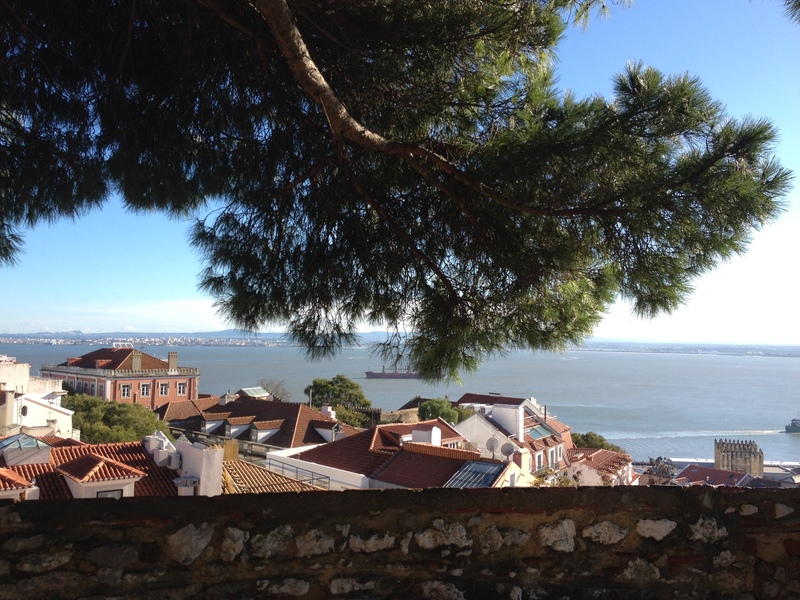 Lisbon is definitely on my list!